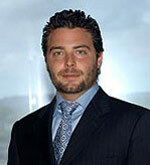 Michael J. Polimeni, President and CEO of Polimeni International, leads the company’s strategic planning efforts. His efforts allow the firm to recognize and benefit from real estate growth opportunities here and abroad for the purpose of creating maximum return on investment, while contributing to the quality of life enjoyed by the communities in which they develop. Mr. Polimeni began his career by launching a New England forestry firm before arriving at Polimeni International, where he worked in literally every capacity within the company. From operations to brokerage, he became a respected landlord representative who was responsive to tenant needs while remaining focused on efficiencies and the firm’s bottom line. 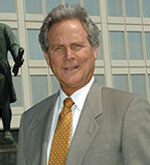 As the Iron Curtain collapsed and democracy came to Eastern Europe, Michael assumed an onsite leadership role in Poland, where Polimeni International built 3.5 million square feet of retail and residential space, allowing the company to become one of the primary commercial developers in a nation that welcomed the rise of an emerging middle class. Recognizing a coming weakness in the market, Michael departed the Polish market before the arrival of a European recession, redirecting the firm’s overseas profits into American real estate opportunities. 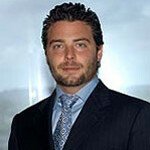 Today, Mr. Polimeni is responsible for identifying new growth opportunities that allow for strategic partnerships, visionary land use, and the appropriate application of capital on behalf of creative projects that bring value to its investors. Stephan Garber has extensive experience in representing investors, developers, brokers, lenders and others in a wide variety of real estate transactions. He has represented clients in connection with all phases of acquisition, financing, sale of retail, office and warehouse properties. In 1995, Mr. Garber became General Counsel to the Polimeni Organization and has been instrumental in the acquisition of over three million square feet of well-positioned shopping centers and office buildings located in prime market areas throughout the tri-state area. 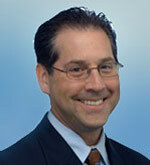 The primary focus of Mr. Garber’s practice is in real estate law and contract litigation. 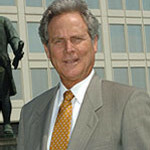 Mr. Garber’s field of expertise lies in all aspects of real estate and development, purchase, sale, financing of properties and syndication, real estate litigation, construction litigation and contractual disputes. 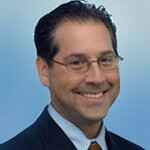 Scott Mauri is a Certified Public Accountant, licensed by the State of New York. He is a member of the American Institute of Certified Public Accountants and the New York State Society of Certified Public Accountants. 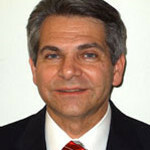 Mr. Mauri holds a Bachelor of Business Administration degree in accounting from C. W. Post College, a branch of Long Island University. He graduated in 1984 and spent three years working for Mark Shron & Co., a CPA firm in Long Island with many prominent real estate clients. His area of expertise lies in auditing, financial accounting, taxation and financial reporting. In May of 1987, he was hired as Assistant Controller of the Polimeni Organization. In October, 1987, he was promoted to Controller, where he oversaw the auditing and financial accounting functions of the company. He was appointed to the position of Chief Financial Officer in July, 1995 where he oversees all financial operations of the organization. In addition, Mr. Mauri and his division are charged with the financial operations of Skyline’s entire commercial management portfolio. 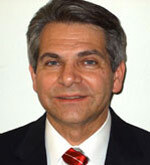 Edward Heim joined Skyline Management Corp. eight years ago as the Director of Facilities. Mr. Heim oversaw all aspects of tenant renovations and capital improvement projects at our Long Island, New Jersey and Pennsylvania properties. Currently, Mr. Heim is the Vice President of Skyline Management Corp., handling the daily operations of our retail centers, as well as running all construction on Long Island and New Jersey. Mr. Heim holds a degree in Mechanical Engineering and has a diversified professional background with over 27 years of combined experience in real estate, design engineering and construction. 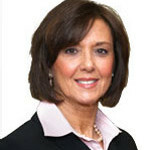 Maryann Ortega has over 18 years of experience in managing and leasing commercial real estate properties on Long Island. 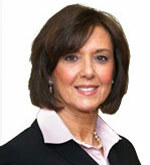 She has managed a diverse real estate portfolio of office, medical and retail properties. Since joining Skyline Management 13 years ago, she has overseen all phases of management ­– from building maintenance, construction and marketing to administration. She has managed operations and followed the established goals, objectives and policies of Skyline Management while maintaining a high level of tenant satisfaction. Ms. Ortega holds a BA in English from Queens College and is a member of BOMA.